Saba loves her brother more than anything else in her bleak world, so when bandits kidnap him and kill her father, Saba sets off to save him with her younger sister Emmi. Despite having read good early reviews, I had a hard time getting into BLOOD RED ROAD. Saba is uneducated and so the book is written in a dialect that I found grating at first. After 50 pages, I was still wondering what all the fuss was about. But then, sometime around Saba’s debut as a cage fighter, I was fully immersed and didn’t put the novel down again until I was finished. 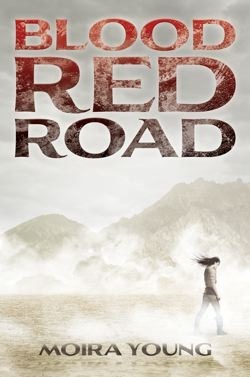 BLOOD RED ROAD is the first book in the Dustlands trilogy and is available in hardcover now. Find out more about it at the official website. Watch the trailer. Add it to GoodReads. Song for the Ultimate Dystopian Playlist: Ready to Start by Arcade Fire. Sample lyric: "All the kids have always known, that the emperor wears no clothes. But they bow down to him anyway, it's better than being alone." Simon & Schuster is sponsoring a giveaway of 5 copies of the BLOOD RED ROAD hardcover. For a chance to win, fill out this form by August 6, 2011 at 11:59 pm CST. Open US and Canada only. Great review! I admit I had a difficulty getting into BLOOD RED ROAD as well because of the writing style, but I think I'll give this another try. Tee-hee "Beware of sandstorms!" I totally agree with what you said about this book being a bit difficult to get into. But right around the same point you mentioned, I looked up and realized I hadn't moved in a LONG time -- that's how sucked into it I suddenly got! Very nice review! Looks interesting! Ooh, I still need to read this one. I downloaded it from GalleyGrab & was fascinated by how different the language was--and then got busy with edits and it expired! I just bought this book last weekend, and am excited about reading it. It sounds like it has a really unique storyline, although the dialect might irritate me a bit. Thanks for sharing your thoughts with us! Love the review. The honesty is refreshing. If I were to pick up this book I'd have to break my rule (fifty pages then I can give up)... but it sounds like I'd be pleased with the outcome! I'm a newbie! Love your blog! I do hope you'll stop by and say hello at Unedited! I really appreciate your honesty about this book- sometimes when I read so many over the moon reviews about a book I wonder if there are elements that weren't so successful that people just aren't mentioning, so less-than-glowing reviews really just make the book seem more well-rounded. Thanks! I truly enjoyed this one though the dialect and no-quote-marks thing took a bit of getting used to. And with her cage fighting, Mad Max is totally what I thought of, too! Looking forward to seeing what happens next. Lovely review. 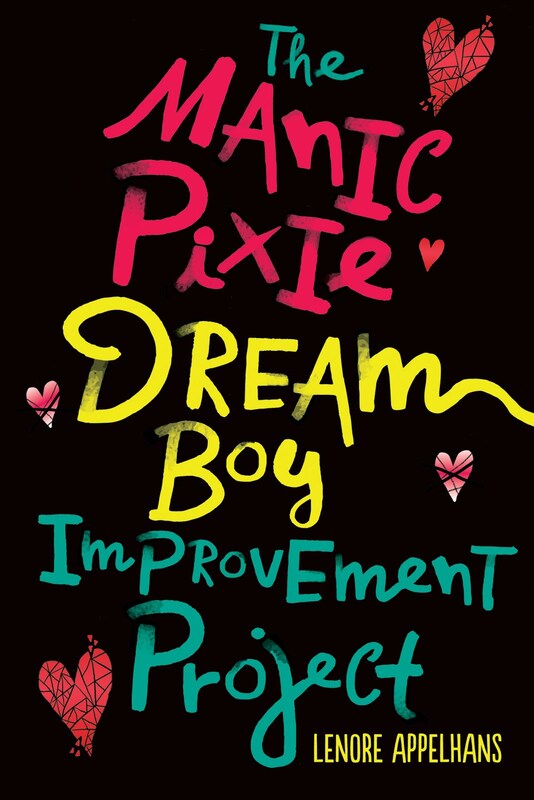 I've had this on my radar but always have other things I need to be readin.g I do need to get to it. I've found that it's difficult to get into books that are written in a style like that, but once I do, beware! You've made this sound awfully appealing. I bought this book the day it came out. I've been saving it for Dystopian August. And now finally... I can get my hands on it! :) Thanks for the review. I'm excited to see that this garnered 4 zombie chickens. I've got it on my shelf to read and for some reason haven't picked it up yet. Perhaps knowing that you liked it so well will push me that little bit further.